Lauren St John. La cala del muerto. Barcelona: Bambú, 2012, 268 pages. Translated by Marta Pino Moreno. ISBN: 978-84-8343-169-6. 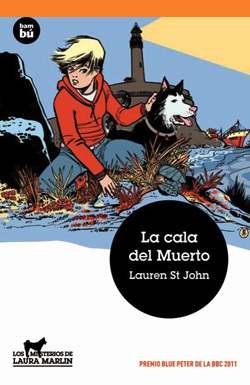 Spanish translation of the original title: Lauren St John. Dead Mans Cove. Orion Children's Books, 2004. Published in Spanish by Bambú.